Who knew the provenance exactly? It probably found its way through the centuries from some old colonial town house on the distant and prosperous seaboard, but someone has dragged this handsome Victorian claw foot bathtub high into the Cordilleras to market this day, by mule, or by lackey, or by rusted truck. It sits proudly in the dust amidst a multitude of other curious repurposeable objects. The present owner of the bathtub, a raffish man with deeply lined, silver bristled, sunbaked face, a bunch of gold teeth, and a fine, if weather beaten, rufous red felt hat, has amongst other exotic items in his possession, a battered brass telescope, various and sundry antiquated surgical instruments, a rebuilt wheelbarrow, a number of tattered volumes (including a dog-eared English treatise on masturbation titled “Manhood Rescued – A Helping Hand-book for Victims of the Follies of Youth”) an assortment of traps, pulleys and restraints, a handsome caged cockerel, a stoat and prize goat – but it was the bathtub that caught Sulleiman’s eye. The market – a monthly medieval affair of rambunctious mountain folk peddling hardware and handicrafts, livestock, fruits and vegetables, steamed or roasted foodstuff, dried roots, spices, medicinal plants, and steaming sweet or foaming fermented grain beverages – draws folk ancient and young from as far as 3 days walk across the surrounding valleys and mountain ranges. Amid the animated throng, Sulleiman blends inconspicuously enough, though not of these parts. In fact, no one ever really seems to know quite where he’s from, or what he’s about. It had been whispered, among superstitious folk, that he had practiced as an alchemist in middle Europe, or a shaman of the steppes, or even, some fantasized, an ancient architect from some lost continent – yet he seems to have been in these mountains forever, practicing one form of wizardry or another no doubt – but, nobody really knows. Either way, he commands an air of someone not to be trifled with. And this bright market morning, he eyes the miraculously unchipped, if faintly yellowed, white enamel tub in the early morning light; the layered shades of some 150 years of worn paint over the pitted cast iron exterior – a pleasing patina; the stout lion’s claws clutching balled feet. He decides it will serve admirably for his purposes. Withdrawing a string purse from the folds of his tunic, he pulls out two silver, peso fuerte coins. The keeper remains expressionless, but internally his curiosity is aroused (uncommon in itself) by this character who is proffering two large silver coins between bony finger tips. 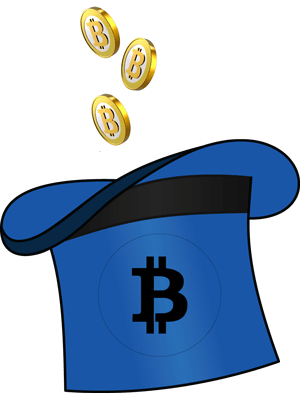 The keeper’s hand extends, in spite of himself, palm open to receive the coins. He examines them closely. They are indeed peso fuerte, gleaming in the sunlight as though minted this morning – yet these coins have been out of circulation for well over a hundred years. The keeper weighs the coins in his hand metaphorically while his mind performs a rapid calculation. He looks up at the stranger with a barely perceptible nod. The deal is done. Sulleiman picks out a number of other small objects from the market: a nicely worn, bone handled knife; a bundle of beeswax candles; some dried fruit and a bag of coca leaves to chew on his journey home. With a lilt in his stride, pouch strapped by a sash to his side, he sets off from the arid, pungent market, up through the cloud forest into the fragrant hills. But the rage rising in the disheveled highwayman causes him to thrust a ruthless strike to the gut – which does not seem to find its mark. The last thing he knows is a splitting crack at the back of his head and the earth coming towards his face. Sulleiman’s staff swings back to his side wearily, and as he scuttles the contents of the expired freeloader’s pockets, finds a sweet orange. He spits out his quid of coca leaves, peels the orange, and consumes it as he continues along his way. And not a few luckless cracked skulls were lain prone by the wayside over the years. Returning to his compound late in the afternoon, Sulleiman shuffles into the adobe kitchen. “Ya, ya, sit down and eat” she says, and cuffs him around the back of the head. Just then, the dogs and chickens start up and a general clamouring ensues as a creaking mule cart pulls up with bathtub lashed on the back as promised. Turns out it was hauled most of the way by rusted truck, and by cart the last few miles of back country, and though Sulleiman is a man who knows how to wait – not a power to be underestimated – in this case the arrival was sooner than anticipated. As a matter of fact, he could have arranged to travel with the thing, but as a rule, prefers to spend a day cavorting about the hills, gathering herbs and talking to the birds of what may lie yonder. Delighted with his procurement, he has it set up in the back quarter of the compound where he grows his herbs and likes to watch the sun go down. After supper, water is heated over the wood fired range in the kitchen, and brought out in copper kettles by a clan of young ones, to fill the tub. As the sun hovers low in the sky, Sulleiman sinks into the steaming waters and lets out a great sigh. His aching bones, relieved of their burden of so many days, begin to ease, and his creaking body softens into a deepening state of relaxation. He allows his mind to loose its hold on the dialectic of the world – the darkness and light woven into the days, the disciplines of holding the multilayered contexts and complexities together – dissolving into the no-thing-ness from which they came. As the sun slowly melts into the horizon, the striated clouds overhead begin to glow like an inverted river of molten gold, merging and flowing down into the distant valley between the great ranges, the last of the day draining after the sun. 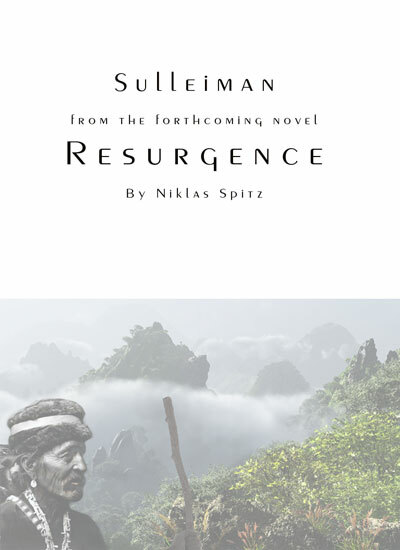 And after seeing into the distance, Sulleiman slowly returns, muttering to himself, ah, yes, they are coming. He is not however, referring to Sophie and Lali, who in their carefree scruffy glee, come bounding and giggling into the herb gardens over which the old man is metaphorically floating in the twilight, clouds reflected in the water about him. As they shatter his meditations obliviously, forgetting themselves and their bounds, the old man feels over the side of the tub until his fingers find a small avocado pit. Using a stripped palm frond for a sling, he deftly hurls the thing with just enough force to smartly rap Sophie on the back of the head with a hollow thonk. Her eyes widen in a moment of stunned silence in which she stops breathing. A bulb of snot bubbles at her nose in the pause. Then suddenly, taking a sharp involuntarily in breath, scrunching up her smudged little face, she emits a high-pitched shriek. Lali stares at her sibling, wide eyed, bewildered by the wretched cries, then bursts into sympathetic tears of her own, and they scurry off together to seek solace. The old man chortles to himself, as the quiet is resumed. His ancient, grey muzzled cat, Kali, hops up between the old man’s bony feet suspended over the tub. She sits there on the broad rim, gazing into the steaming space between them – caricatures of each other, as the darkening embers of amber sky fade to black. Diamond stars fill the sky. The old woman walks up and stands at the foot of the tub, half moon overhead. She drops her robe in the soft light and steps into the bath, still warm in the night. With her back towards the old boy, she lowers her satin soft cello figure between his splayed knees, arching her back delicately. Leaning forward and lifting her hips slightly to tease the old man, she displaces the cat with her large breasts, which have long since given up any quarrel with gravity. Dethroned, the cat saunters over to a fence post and claws her way up onto the top, perches there, wide eyed, slack jawed, blinking slowly like an old owl, turning her head away occasionally, as the gentle, rhythmic ripples of the bath water cause the moonlight to dance about timelessly.